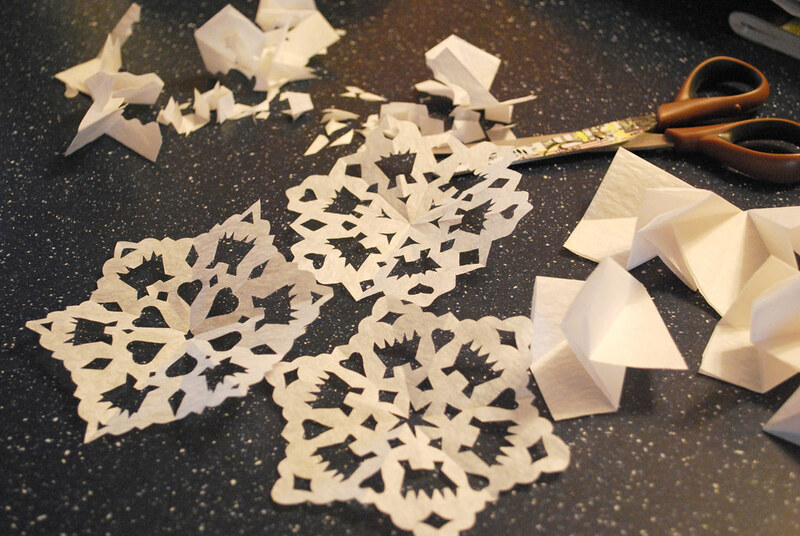 Typically I don't start cutting out snowflakes until December or January, but this is part of a nice big project I'm working on. The family Christmas cards this year will each have a hand-cut snowflake on the front. And although each is different, every single one has a manger and a heart in the design. So far I have about 70 cut, but I'm aiming for 120. So far the best experience with cutting these came when I left the little bag of scraps (that I cut into, ironically, to eliminate mess) on my sister's bed when I left the room. I heard her mutter something, and knew in an instant what had happened. As I returned to the room, she told me, "I"m currently hating you." How could I help but laugh? Her bed was covered with the teeniest pieces of "snow"!